I got a message from a friend in Japan. She said that she’d like to come over to Bandung, meet me and do a little study about how Indonesian life-like. I agree. Well… English will definitely makes it easier to travel around and visiting some countries. How I really want to do too. I’d like to visit some countries, meet other teachers and get some creative ideas about teaching. I’d like to compile all those stories into a book. Possible? I believe so. And about my English proficiency, I really need to keep improving it. Take some English class/course might help, I believe. TBI is the first institution that came across my mind. 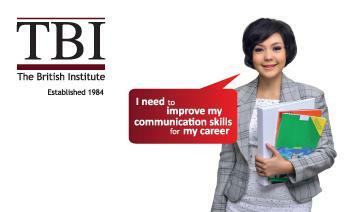 I heard TBI have many native speakers, so we can improve our English faster. If we are in the English community, then we have no choice but speak, think, read and write the language. I have to prepare myself to communicate in English -that if I want to keep my dream to travel around the globe come true-. I really wish that this dream of mine will come true in a near future. Insya Allah. This entry was posted in Uncategorized and tagged Al Irsyad Satya, education, English, friend, Japan. Bookmark the permalink.